The magician takes four cards from a deck. He shows them and underlines how the Queen is the highest card. He then makes a magical gesture and throws the cards down on the table where they VISIBLY all change into Queens! The effect is really visual and incredible! • Very easy to do. • Your spectators will be truly baffled. 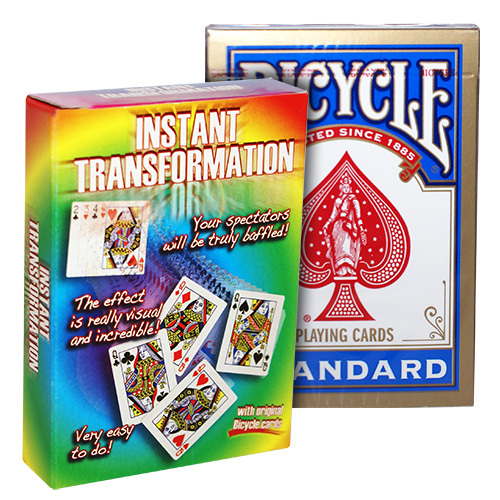 • Together with the special gimmick also a regular deck of Poker size Bicycle cards is supplied.